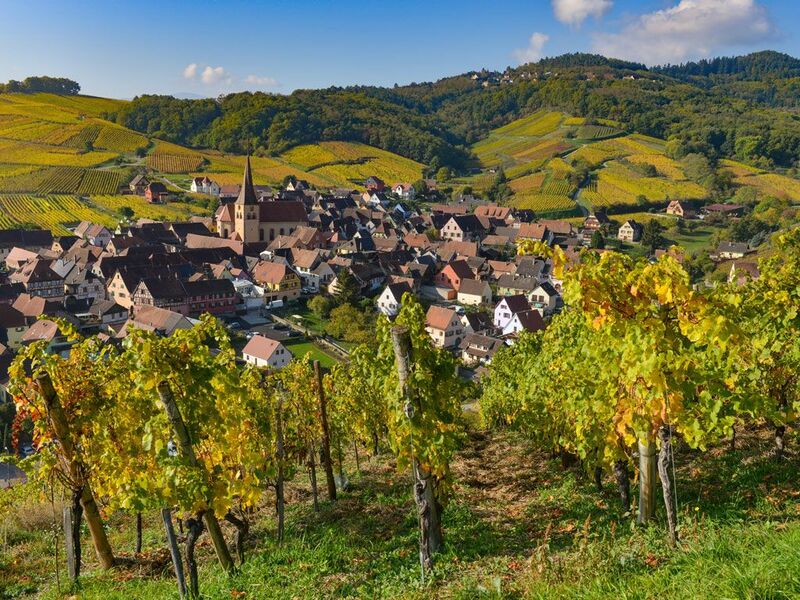 The amazing region of Alsace is located on the western bank of the Rhine river in Eastern France; the region is situated on the border between France and its neighbours, Switzerland and Germany. 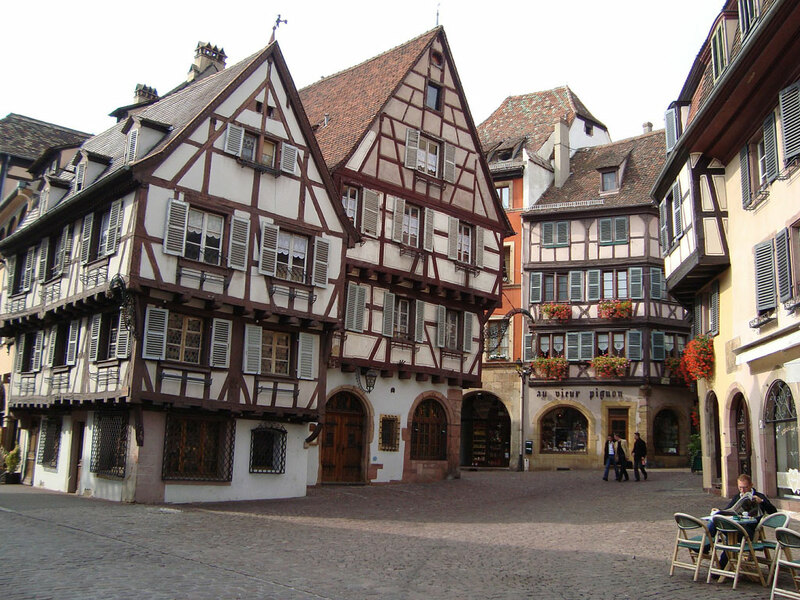 Alsace has a long and interesting history. 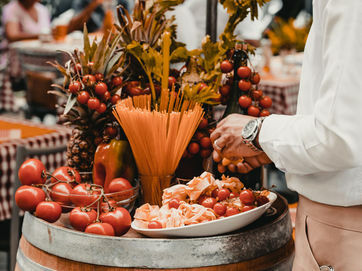 The region has switched between German and French control over the centuries; this has caused the area to become a melting pot for two different cultures and has had a significant influence on the food, wine and architecture. 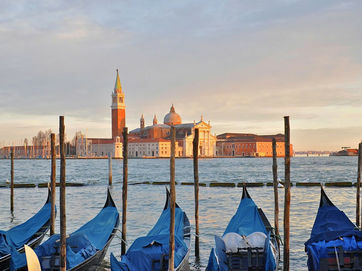 The land is dominated by picturesque cities and towns bursting with colour and life. 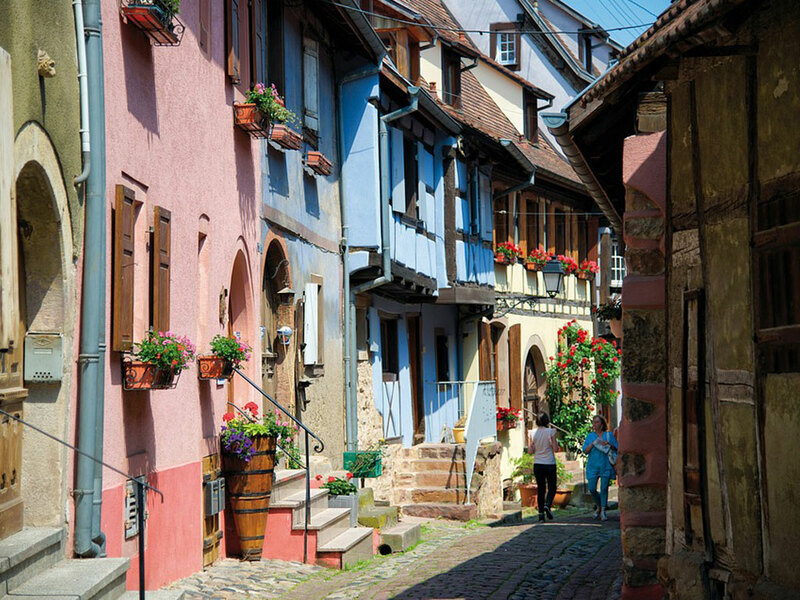 Age-old communes like Colmar and ‘Petite-France’ in Strasbourg are home to some of the iconic and vibrant half-timbered houses the region is so well known for. The houses have a distinct design and the Alsatians are known for painting them in bright colours. Alsace is an extremely important white wine region; of the 111 million litres of wine produced here, 90% of it is white. Alsatian wine is made with both German and French grapes and the region is most famous for producing, along with Germany and Austria, the floral and aromatic Gewürztraminer wine and dry Riesling wines. 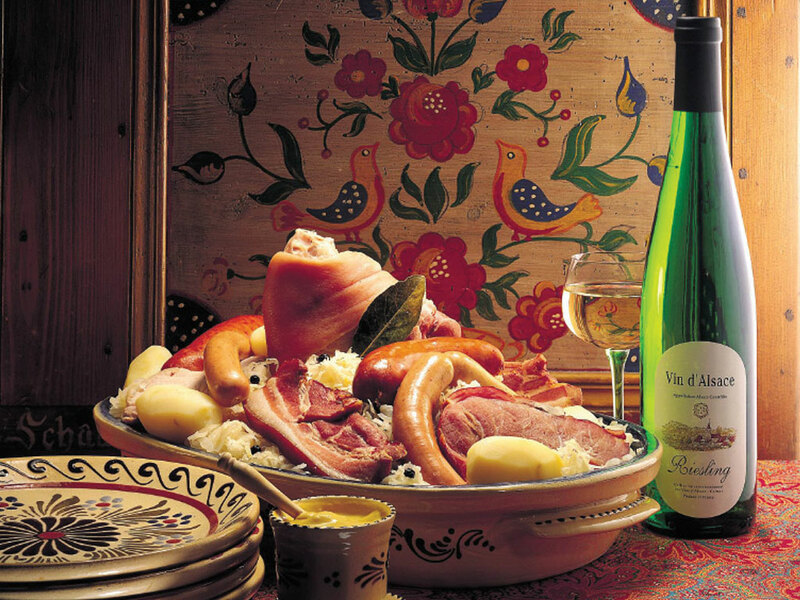 Alsace is also celebrated for its delightful food and the region has more Michelin-starred restaurants than any other in France. The cuisine is influenced by German culinary traditions; many of the dishes have German names and usually contain braised meat and pork. 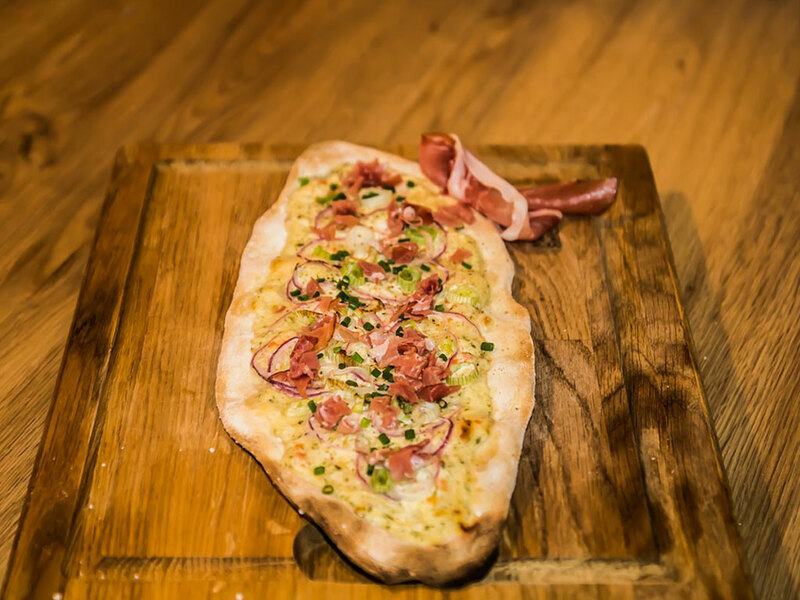 Some of the specialities of the region include Flammekueche, a pizza-style dish made with crème fraîche, onions and lardons. Another favourite is Choucroute, a relative of Sauerkraut, it is a common side-dish made of shredded cabbage fermented in barrels with juniper and salt. 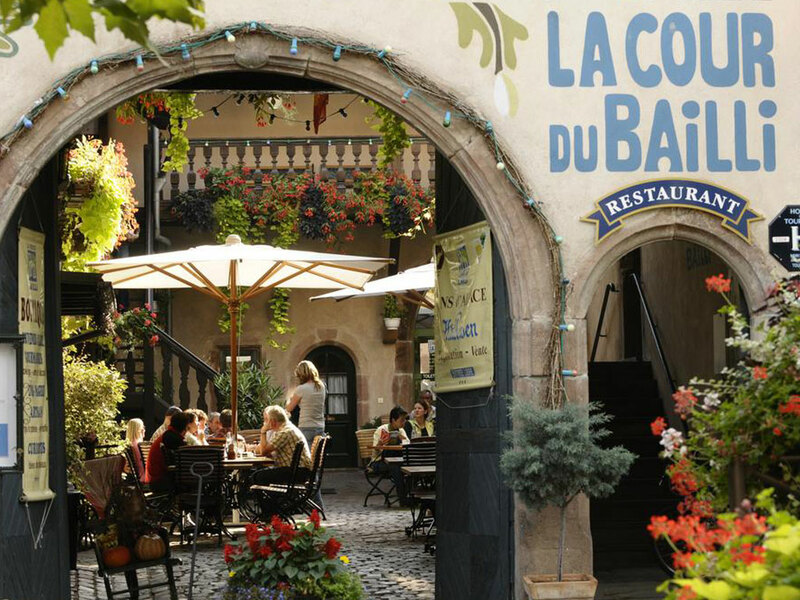 Our Alsace Route du Vin tour will have you pottering from one beautiful town to another on pretty lanes that pass many of the regions wonderful vineyards.